Did you love WRECK-IT RALPH? Well, we have a new sneak peek at the WRECK-IT RALPH sequel – RALPH BREAKS THE INTERNET: WRECK-IT RALPH 2. In this RALPH BREAKS THE INTERNET sneak peek, we get our first look at Gal Gadot (“Wonder Woman”) as the voice of Shank, the tough and talented driver in an intense online racing game called Slaughter Race, plus new footage of the Disney princesses and more! Haven’t seen WRECK-IT RALPH? Buy WRECK-IT RALPH on Amazon for just $16.99. Visit the official RALPH BREAKS THE INTERNET: WRECK-IT RALPH 2 website for more information. 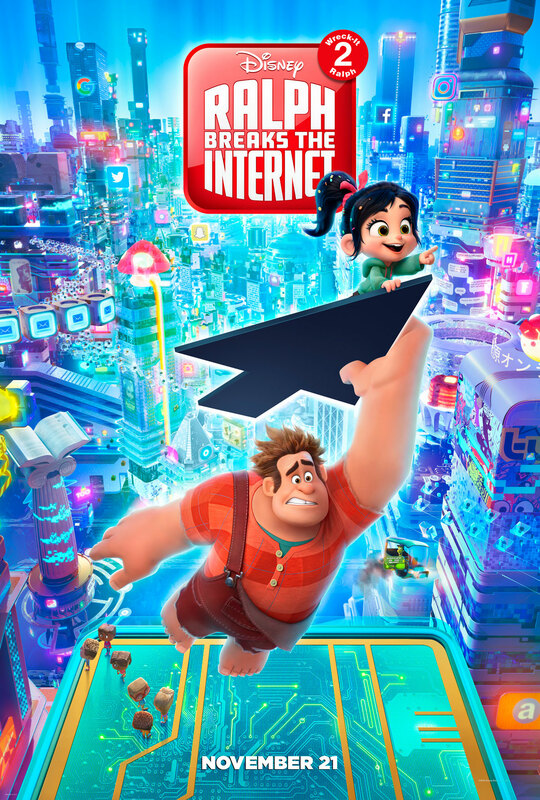 RALPH BREAKS THE INTERNET: WRECK-IT RALPH 2 arrives in theatres everywhere on November 21st!